Yianni Johns, artist and curator will be Bingara’s Australia Day Ambassador. Yianni Johns has been painting for decades and has had exhibitions of his art in many states of Australia, and internationally in New York, Montreal, Paris and Beijing. Yianni has a Bachelor of Arts Fine Art from Curtin University and is presently in the final stages of his Master of Arts with Swinburne University. Yianni and his wife Kristen an Aerospace Engineer decided to get out of the rat race city and bought a house in Ardlethan. They moved there in January 2018. Their son 15-year-old Jarrod attends the local school and loves the country life. Yianni’s style of artworks have been associated with the likes of Australian Artist Jeffrey Smart, American Artist Edward Hopper and Alex Katz. Yianni’s work plays with the notion of the beauty of the man made in the landscape. He also works in a style called “Documentary Realism,” where a lot of his inspiration is gathered and collected from the internet. One of his recent exhibitions in Sydney featured portraits of twenty one Australian Politicians, where he reverse engineered the portraits and re-made them in a colour field abstract style. Sounds weird. Well they look weird on the wall, until you get your cell phone out put the camera app on and look at these artworks through your camera, they snap into reality. Yianni is also an accomplished curator with over 80 exhibitions under his belt when he was curating four galleries simultaneously, one on the Central Coast of NSW and Three in Sydney, one in Paddington, one in Sydney’s CBD and another in Rose bay. 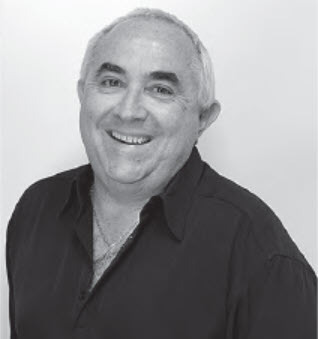 Yianni was awarded an Australia Day Award in 2010 for his services to Arts and Culture in the Central Coast Region and was the creative brain and curator behind the Super Art Project in Tuggerah NSW. He turned 24 vacant Supa Centa shops into 24 artist studio galleries housing 64 working artists. Thousands of visitors got to experience art weekly during the life of the biggest and most diverse art project to hit the Central Coast region of NSW. Yianni has been an Australia Day Ambassador as an artist since 2010 delivering the Australia Day address to towns all over the state. In 2018 he was the Australia Day Ambassador to Wagga Wagga. A fine welcome to his new hometown region, the Riverina. From 2004 to 2013 Yianni was an Arts Reporter and Presenter for 92.5 ABC Central Coast with his weekly hour of live radio in his show called Smart Arts, a radio show about the arts and artists. In 2014 Yianni spent 2 months in Beijing as Artist in Residence with one of the oldest commercial galleries in China the Red Gate Gallery. In 2012, 2014 Yianni’s art has was broadcast on the billboards of Times Square and also in the Louvre in Paris in 2016. Hundreds of thousands of people get to see his work. Yianni is part of ‘Art Takes Times Square’ organisation. Yianni says his art is like oxygen to him. He can’t live without it.